On the bus, on the way to Jujuy. We had to do one more ‘city’ to do in the north of Argentina, surely? Hmmmm, OK San Salvador de Jujuy, otherwise known as Jujuy. Besides, I had not been here in 1999, and I was trying to throw in a little bit of new as well as revisiting with Alex many of the splendid places I had already visited. 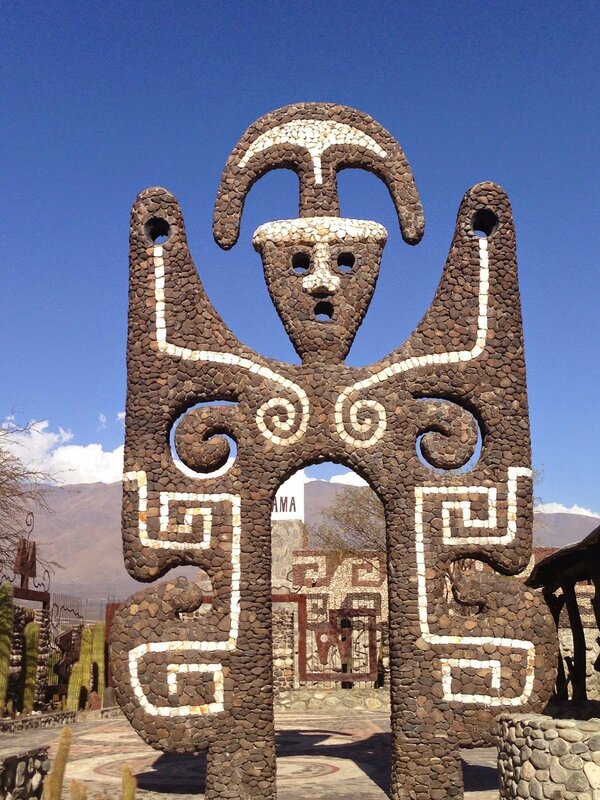 Juyuy is also renowned as the national capital of Pacha Pacha Mama, or Mother Earth. Apparently this is the place where you start to feel the real proximity to Bolivia. Apart from food that seems more Andean (like locro, humitas and sopa de mani) than Argentina’s pizza, pasta and meat show, I cannot say that I really felt this. I did like Jujuy though. It felt more like a big town than a city to me. I loved its markets and its buzzy atmosphere. It was a nice place to relax for a couple of days, as we knew that we were well and truly on the way out of the country, but we still had a few places to go. When in doubt, take all roads! North of Jujuy the road snakes its way through the Quebrada de Humahuaca, a painter’s palette of colour on barren hillsides and small hamlets that communities ofQuechua speakers call home. 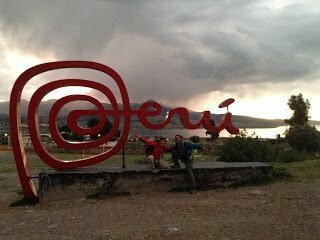 This route is also part of the infamous Inca Trail, the route that the Incas both carved out and took from the north to the south of the continent (effectively from Colombia to Santiago de Chile) all those years ago. There were three places that we were deciding on doing in the Quebrada; we could not decide, so needless to say, we did all three! Purmamarca, Tilcara and Humahuaca, in that order. Purmamarca is renowned for its Cerro de Siete Colores or the Hill of Seven Colours, which literally sits behind the tiny town. As the bus rolled into town, I was blown away by the number of buses and cars I saw parked, quite literally, everywhere! My, my how this tiny town had changed since 1999. 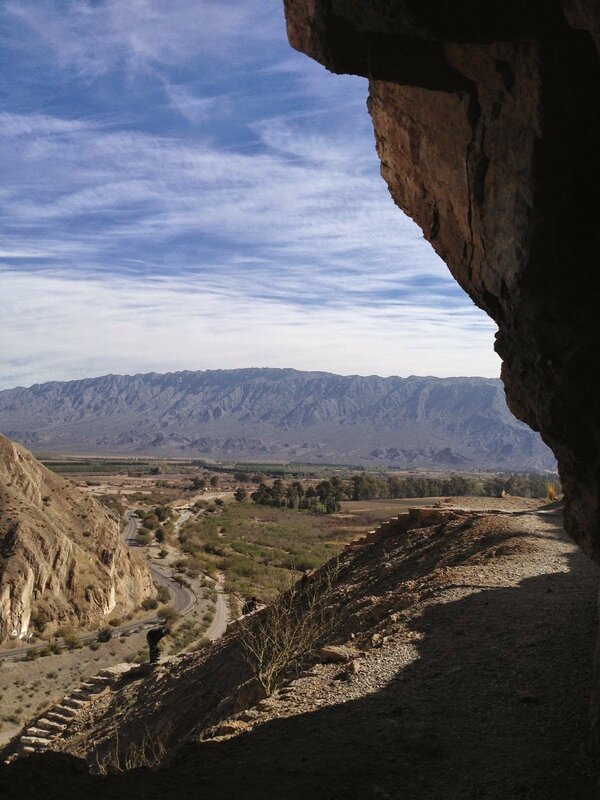 The Quebrada de Humahuaca, incorporating Purmamarca, was declared a World Heritage Site by UNESCO in 2003. Such an act has clearly increased the interest of both national and international tourism to the area. There were people … everywhere! The central town square was crawling with vendors and tourists. Eek! It just seemed like the Disneyland of the Quebrada to me. Having said that, nobody can take away from the beauty of its surrounds, and I tried to focus on that. Accommodation, and particularly budget accommodation, still has a long way to go. We checked into a place called Mama Coca, but had to leave at 10pm as the chain smoking owners had us gasping for air. They were also both particularly rude when we politely approached them about feeling like we were being gassed! With Naty and Marcelo of Alta Montana. Tilcara followed Purmamarca. This area features even more dramatic mountainous landscapes that are very rich in aboriginal/ indigenous traditions. I love people and culture and it was just getting better the further north we went. We hung out here for a few days in the amazing Alta Montana Hostal. The owners, Marcelo and Naty made us feel at home, and in no time at all we were sitting on the porch together sipping mate. We ‘shared’ the hostel with a big group of kids in their final year of high school from Cordoba. The school was Colegio Maestro Diehl; a music/arts school. They were on an end of year gig, which included playing instruments and singing with some of the local schools and communities. They were awesome, awesome kids! Open-minded, friendly, polite, courteous and fun, Alex and I built an amazing rapport with them over the several days we were there. Chewing coca leaves with Horacio Galan. One of the highlights of our trip to Tilcara was our walk with amazing local guide, Horacio Galan (if you go to Tilcara, look him up via Alta Montana Hostal). He took us on a walk through the countryside, including some steep uphill climbs, amazing caves (Cuevas de Waira) and breathtaking views. As we had been slowly moving up north the elevation was also creeping up slowly; in Tilcara it was 2465 metres above sea level. Horacio bought us some coca leaves (widely used in northern Argentina and Bolivia) and explained how they helped combat altitude and altitude sickness. After this walk I was sold and they would prove to be invaluable in the high altitudes of southern Bolivia later on! Another Tilcara highlight was the walk culminating in the Garganta del Diablo, or Devil’s Throat. A geographical feature formed by the movement of teutonic plates, it is now a deep chasm or gorge, and a walk further along the track leads you to a gorgeous waterfall. There is much evidence of aquatic life here, as in fossils of trilobites. Like a lot of the surrounding area, this was once under water. No trip to Tilcara, however, would really be complete without visiting El Pucara, a pre-Inca fortification strategically located on a hill, just out of town. Of course, we decided to do this on the same day as the walk to the Devil’s Throat! When we got back to the hostal we were dead! able to do a lot of cooking. The fruit and veggies from the markets have been excellent. It has also been relatively easy to find grains and pulses such as lentils, chick peas and quinoa (although the latter is ridiculously expensive; more so than in Australia). Alta Montana had a particularly good kitchen. I also spent my birthday here; pretty laid back. Naty made me a rice flour cake and surprised me by singing me Happy Birthday later that night. I was going to miss her and Marcelo; they had been truly awesome! 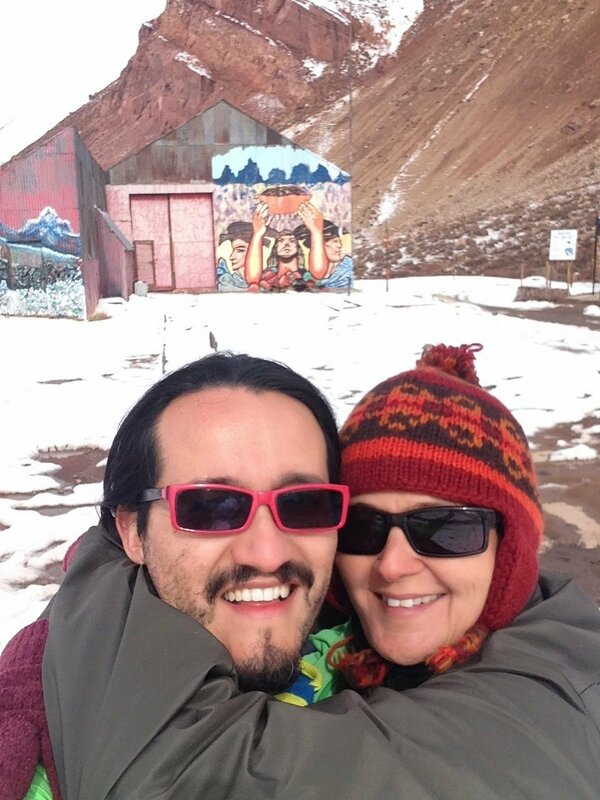 It was finally time to go, and Humahuaca would be our final destination in Argentina. The kids from Colegio Maestro Diehl would also be going to Humahuaca … hugs all around as they asked us to look them up when we got there. I liked Humahuaca as soon as we arrived. It had the small-town feel and beautiful scenery of Purmamarca without the throngs of tourists. We found a gorgeous little place to stay called Waira; small, comfortable, homely and with excellent staff. With the northern Argentine landscape providing one spectacular backdrop better then the next, Humahuaca was no different. The Hill of Seven Colours move over … here we have the Mountains of 14 colours! Despite the fact that the last weeks had provided us with more layers of colour than we had ever seen before, how could we not do the hills with 14!? The mountains of 14 colours, Humahuaca. Of course we did it! We went with a local elder in his truck who was super-knowledgeable and gave us a lot of history about the area. 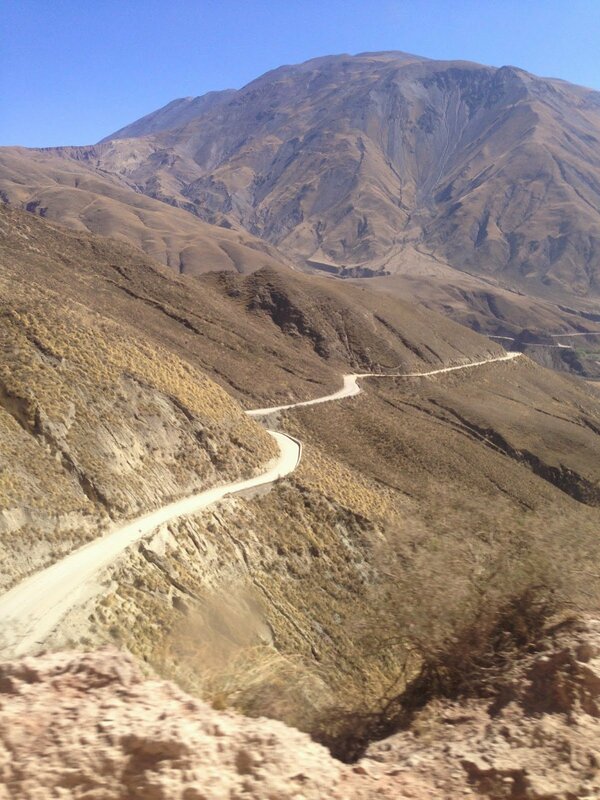 The windy road up was almost as spectacular as the final destination (thank heavens for those coca leaves, it was pretty high!) The mountains of the14 colours are known as Hornocal. It was a beautiful spot to breathe in (quite literally! ), sit down and just take it all in! So often, here in the north, I have found myself taking in the spectacular beauty and being thankful that I am able to do this. I am well aware that so many are not! The kids from Colegio Maestro Diehl, Humahuaca. border, Humahuaca certainly has a different feel and vibe, from the people’s faces to the food! We caught up again with the kids from Colegio Maestro Diehl, and hung out with them at their hostel. Seriously, lovely, lovely kids! They would be leaving a day before us! Their ways, personalities and drive had so impressed Alex and I that we decided to give them a farewell speech at their dinner (before catching the bus back to Cordoba that night). I spoke in English (many of them had excellent English) and Alex in Spanish. Many of them cried, and each and every one of them hugged us both. They told us how great it had been meeting us and that we were an inspiration to them! One girl grabbed me before I left and told me that although she knew that she could ‘do it’, how important it was to hear it from us, that ‘each and every one of them was able to achieve if they believed in and followed their dream.’ Wow! As we walked away and waved goodbye, I had a lump in my throat and a tear in my eye. To make a difference in someone’s life is one of the greatest gifts! Since saying goodbye, many of these kids have contacted us personally to tell us how wonderful it was to meet us, and how inspirational we were to them. Honoured, that is the only word to describe how I feel! The end of the Argentine line! La Quiaca. So, the time had come, Bolivia was around the corner! Well, perhaps over the hill! La Quiaca is truly the end of the line; 5171kilometres north of Ushuaia, Argentina’s most southern point, and a world apart. 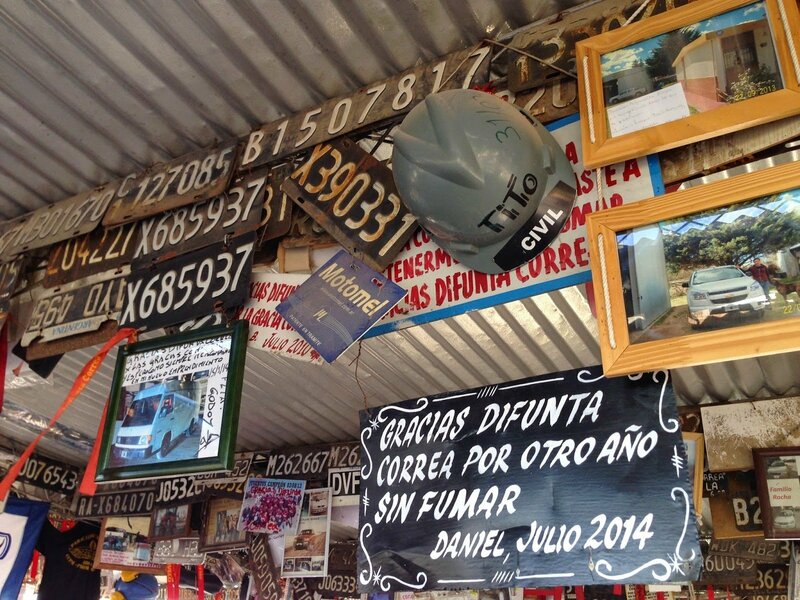 Our only mission here was to spend the last of our pesos and cross over into Bolivia. We found this pretty flawless, actually. A bag full of goodies later, we were exiting Argentina and … Bolivia here we come! Next: The tranquility of Tupiza and the breathtaking Salt Flats of Uyuni. On the way to San Juan de Jujuy. A bit of Dulce de Leche? A tiny town amidst spectacular hills; Purmamarca. The students of Maestro Diehl College, Cordoba. El Pucara, pre-Incan fortification, Tilcara. Some meat in San Juan. The mountains of 14 colours. The last pesos go on an ice-cream … of course! Chillin’ at Alta Montana, Tilcara. May there be peace and love. Although Amaicha del Valle (in the Calchaquies Valley)is only a short bus ride from Tafi del Valle, it may as well be another world away. It’s the first place (heading north) that starts to feel a little bit less Argentine, a little bit more rural, a little bit more indigenous and a little bit more like Bolivia! I love that! In my opinion, it is the most visually spectacular part of the country. In Amaicha resides the only indigenous community in northern Argentina that has still conserved its Diaguita culture; ancestral traditions and Mother Earth (Pacha Mama) rules here. It has a lovely, relaxed and safe vibe. You feel it as soon as you enter the small village. Not many tourists either, which is part of the reason we chose it. We stayed in a place called Pacha Cuty; basic, clean and no locks on the door. Yes, no locks on any of the doors! That’s unheard of. That’s just the way it is there. I was a bit wary because, as a traveller, you just don’t do that. But we followed suit and had no problems whatsoever. We had a couple of very laid back days here. I felt like I had been dropped off in the middle of wild, wild west … well, north! Part of our deal at the hostel included dinner, and the hosts went out of their way to make me vegetarian and us wheat-free food. All exceptionally tasty You are a great chef Juan. Apart from chilling we did manage to see the Pachamama (Mother Earth) Museum. This museum was designed by the painter and sculptor, Hector Cruz, who apart from displaying his wares wanted to describe and present the culture of the people that once lived here. Hitching a ride with the locals. We also visited the Quilmes Ruins, the ruins of a pre-Hispanic settlement, not too far out of Amaicha. With no real organised transport out there we got a taxi. Although the ruins have been considerably reconstructed, the views and walks around the area are phenomenal and the place rich in history. The natives who lived here were conquered as slaves and were taken to the Quilmes district in a Buenos Aires suburb 1500 kilometres away. Very dry and dusty, we walked the five kilometres back to the main road, and with no buses or taxis in sight, managed to hitch the short ride home with some locals. In their beaten up truck we stopped at a few places along the way including the guy’s father’s house and the lady’s grandma. You can’t pay for these experiences. Next up was the spectacular Cafayate. 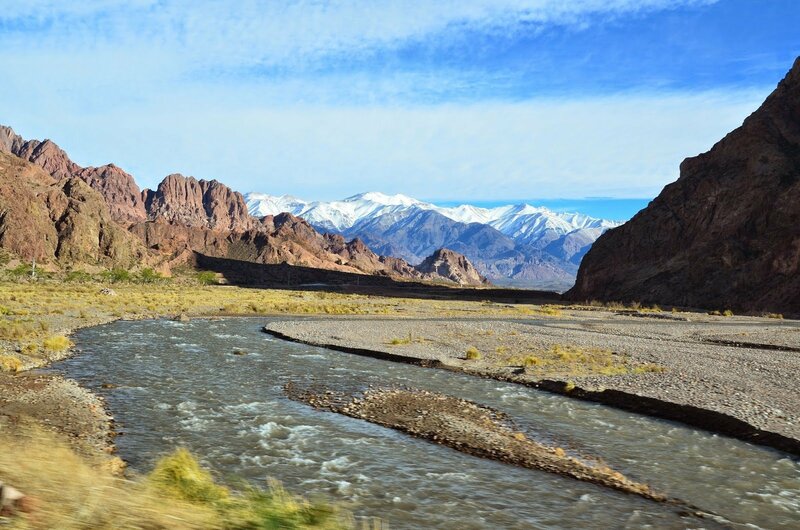 The Quebrada de Cafayate, it is not only surrounded by some of Argentina’s best vineyards, but also with some of its most spectacular scenery. The place has lots of wineries and other amazing things to see. A lot of it can be done on foot and although there are certainly lots of tourists it manages to keep a small-town feel and charm. We hit the jackpot with Hostal Benjamin, a little place close to the city centre and with our own kitchen. I always love a good kitchen! We bumped into Milton, an Argentine backpacker, that we had briefly met on our way back from the Quilmes Ruins, and hung out together for the next few days. The three of us did a guided walk through an area with a number of waterfalls. Some bits were hard, and a little scary for me, but between the guide, Alex and Milton, I did it! Riding through the Gorge of the Shells. The highlight, however, without a doubt, was the bicycle ride through the part of the Quebrada de Quebrada de las Conchas (Gorge of the Shells, so known as millions of years ago it was all underwater, and today fossils of shells are scattered throughout). 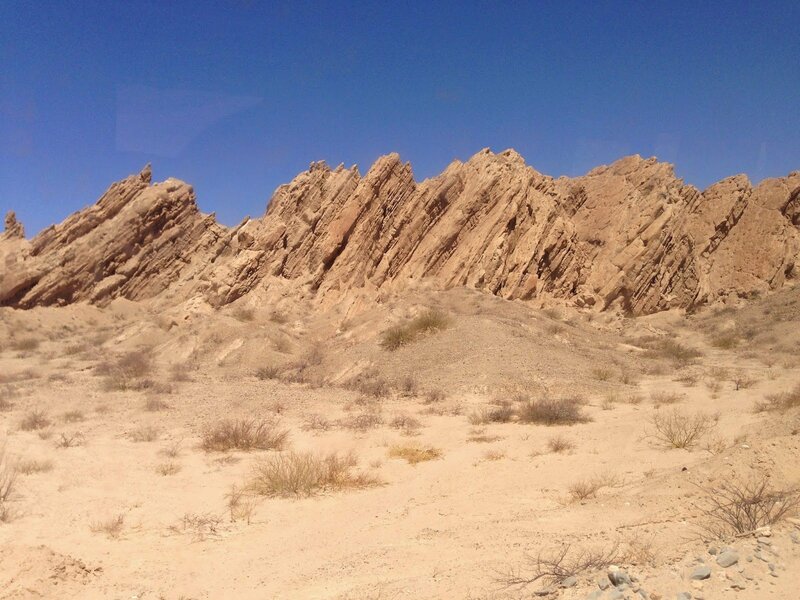 The three of us hired bicycles and caught a bus 50 kilometres away from Cafayate, to then cycle back towards it, through the Martian-like landscape. This area is the backdrop to distinctive sandstone landforms such as the Garganta del Diablo (Devil’s Throat), El Anfiteatro (Amphitheatre), El Sapo (toad) and los Castillos (Castles). Zipping along from one place to the next was mind-blowingly exhilarating! The last five kilometres, however, was also mind-blowingly tough on our butts! 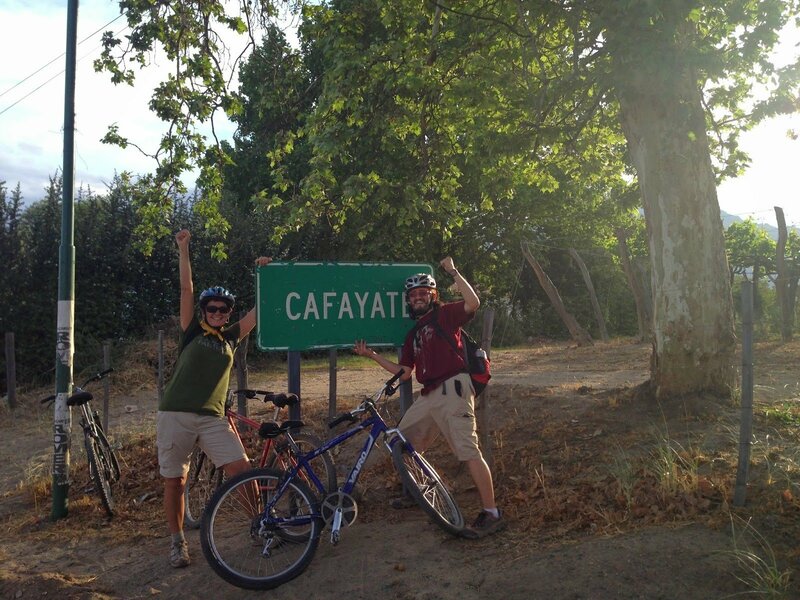 After a full day, and having had a brilliant time, we got back to Cafayate totally spent! We stopped at the first place we could find water and skulled it like people dying of thirst in the desert. We certainly got some weird looks from the locals. 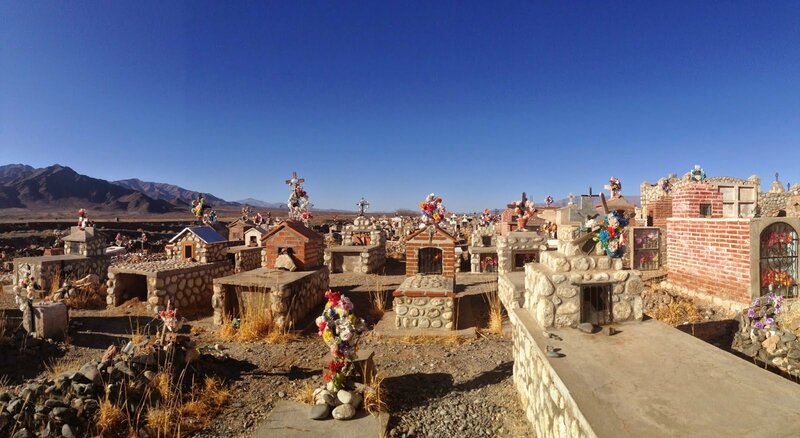 We were finding it hard to leave Cafayate as it was so laid-back, relaxed and beautiful. We also managed another guided walk through an area with a local lady from the Diaguita community. She showed us some rock paintings, told us about her people and also explained how the local plants were used medicinally by her community. She also talked about the ‘evils’ of modern-day food such as wheat and sugar and went on to tell us that her great grandmother had lived until the age of 111! Food for thought, so to speak! Although not wine-buffs, we did also try the local torrontes wine and visit the excellent wine museum. 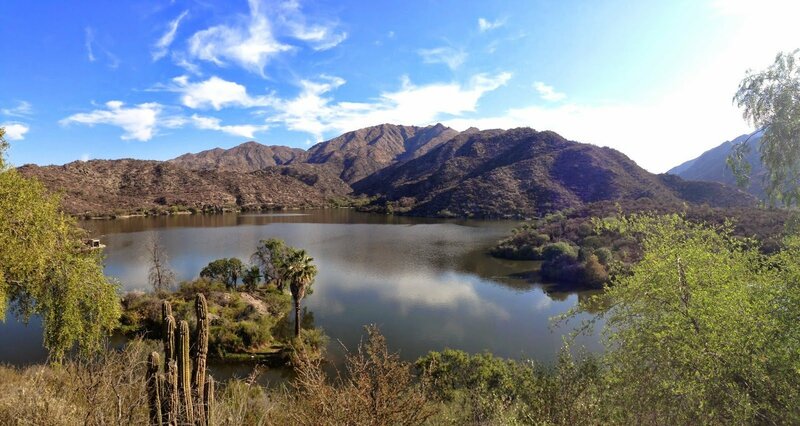 We had heard about a little place called Cachi further up north. 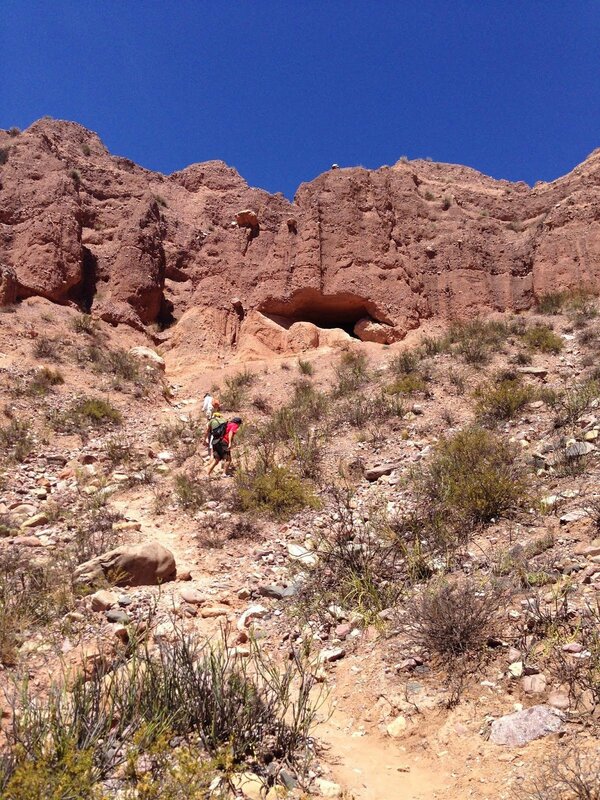 Apparently not so easy to get to Quebrada de las Flechas (Arrow Gorge). Part one OK, part 2???? 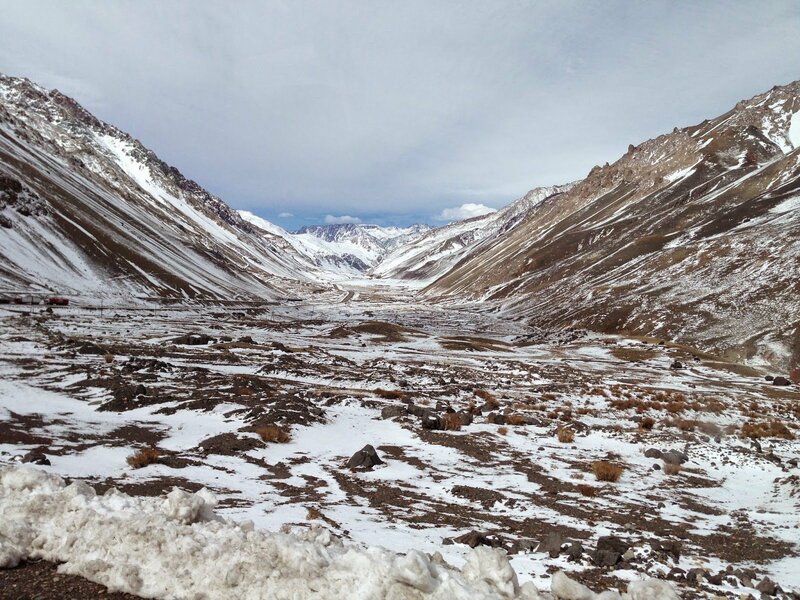 We landed in tiny Angastaco, there were no tourists … and there was one truck willing to take us solo to Cachi … at a hefty price of course, as we had nobody to share with. What to do? We ended up hitching a ride in the back of a Hi-Lux. Before we even had the chance to actually hitch a ride, we saw two couples walking towards their car. We went over, introduced ourselves, had a chat, and before we knew it we were sitting in the back of the truck with all of their suitcases, shoes, newly acquired cacti … and the wind (and dust!) 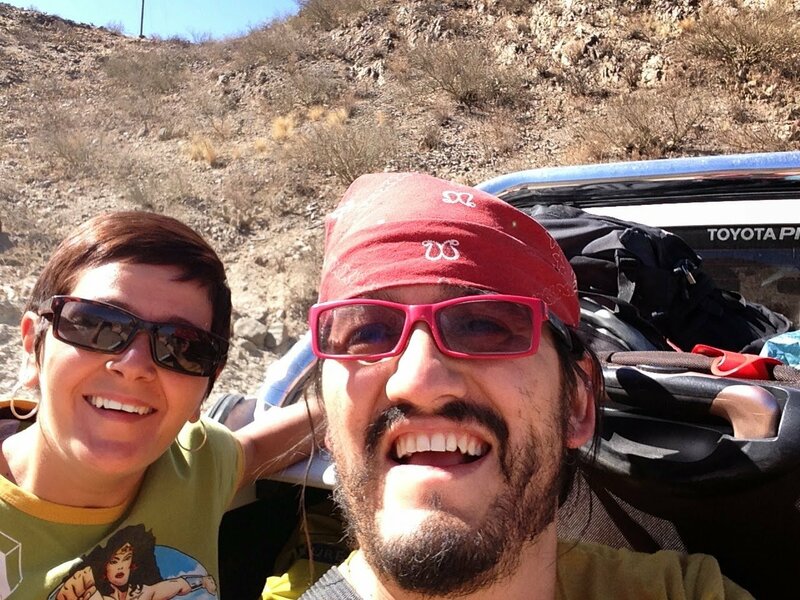 blowing through our hair as we took the spectacular but fairly isolated dirt road to Cachi! Yeee haa! 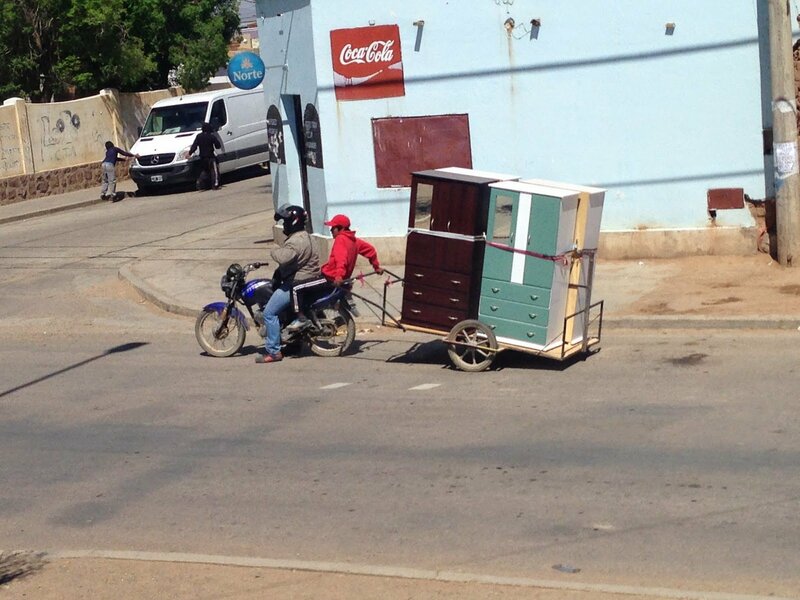 It’s rather difficult without your own transport, but well worth it if you can. Of course we figured we’d give it a crack! We were told that we would be able to get a bus to Angastaco, only a couple of hours away, and that from there we could find smaller trucks that, when full, would take you the rest of the way. 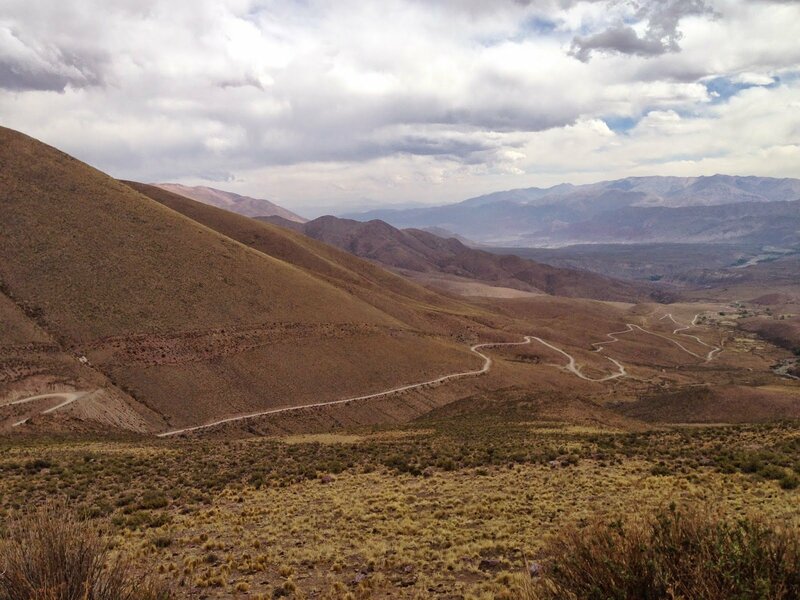 The ride to Angastaco was windy, but yet again, spectacular! On the way to Cachi. What can I say? What an experience! 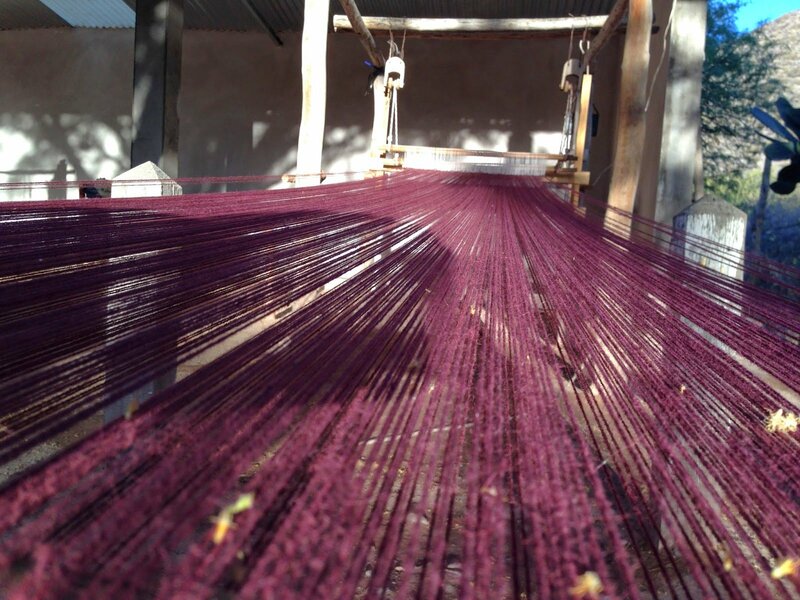 We got to see a few off the beaten track places that we would not have otherwise seen, especially the Artesans’ route, where we actually got to see women weaving everything from scarves to ponchos. As buses do not come this way, there are far fewer tourists than elsewhere. We even got to meet the wife (husband now deceased) who had woven and presented the Argentine Pope with a poncho. We finally made it to Cachi by dusk; totally covered in dust but very happy campers! We thanked our new friends profusely for allowing us to come for the ride. But it wasn’t over yet … we had to find a place to sleep. 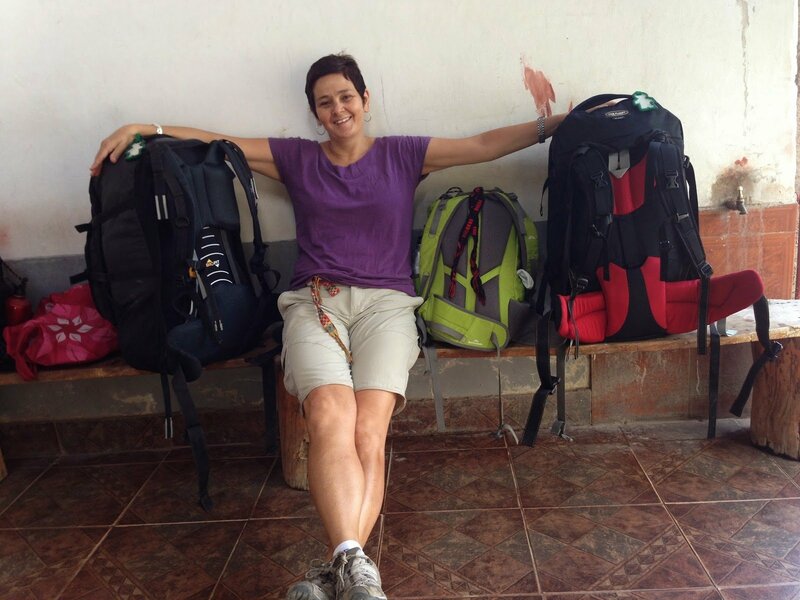 Alex waited with the backpacks, and the Queen of Clean (moi!) was off … I had a clean room and comfortable bed to find! As I walked around and checked a few places out I admired the quaint little town with its gorgeous colonial architecture. This would be a great place to chill for a day or so. 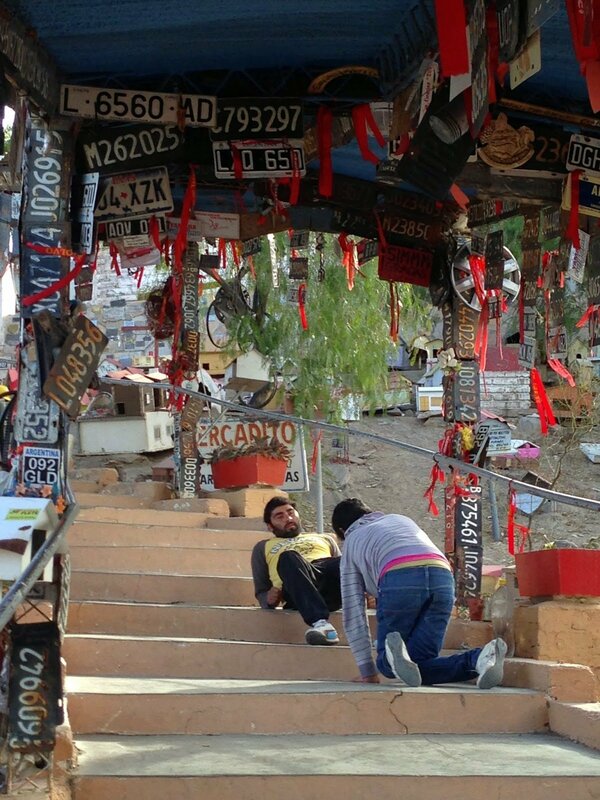 We ended up at the clean and comfortable Hotel Nevado de Cachi. Luxurious it was not, but clean, safe, well-priced and with comfortable beds it was. A shower had never felt so good! The dirt and dust … it was everywhere! Even after we were all polished up, we were exhausted. With no communal kitchen in this place, we decided to try Viracocha Restaurant across the road. We were pleased with the quality of the food, but as usual (with touristy places!) we felt the portion sizes could have been a little more generous. Clean and fed, there was only one thing left at the end of this long and arduous day … bed! There’s not a lot to do in this spectacularly beautiful town, but that’s part of the charm really. We did stop in at the local archaeological museum as well as went for a walk to the cemetery on top of the hill. Other than that we wandered, relaxed, drank coffee and observed. That’s the life, hey! We were beginning to feel that we were never going to leave Argentina. In the north it’s spectacular views one day, even more brilliant ones the next! 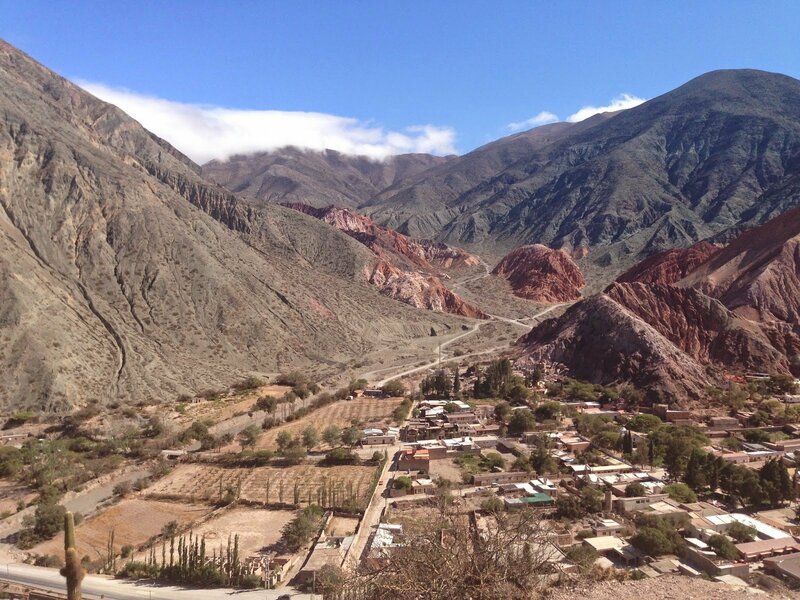 Next: Wrapping up in Argentina; San Salvador de Jujuy and the Quebrada de Humahuaca. 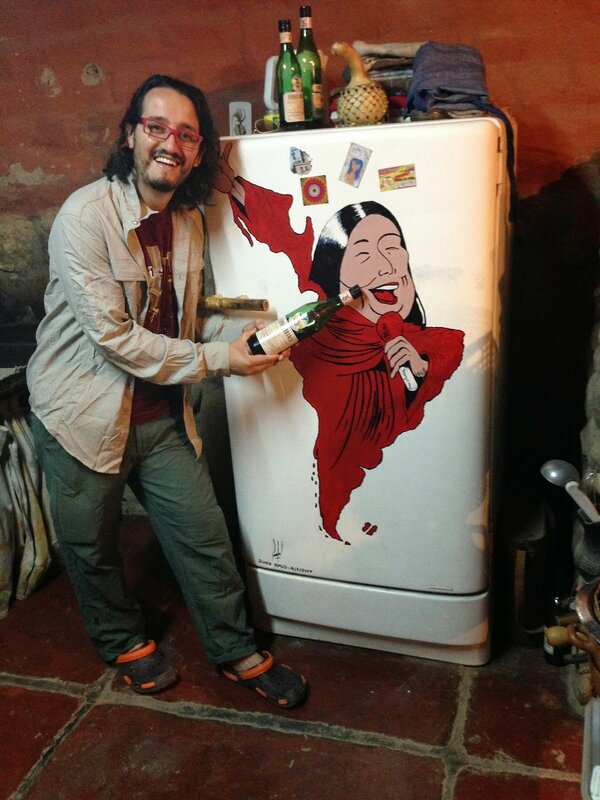 The eternal backpackers … Amaicha del Valle. We were not the only ones enjoying the Quilmes Ruins. In life … you have to smile! In Pacha Cuty Hostal, Amaicha del Valle. The walk to the waterfalls, Cafayate. We made it! The waterfalls of Cafayate. Out and about in Cafayate. Rock painting; with Gabriela of the Diaguita community. Billy Goat Gruff in Cafayate. The Devil’s Throat, Gorge of the Shells. One spectacular view after another; with Milton. We did it … 50 kilometre ride! 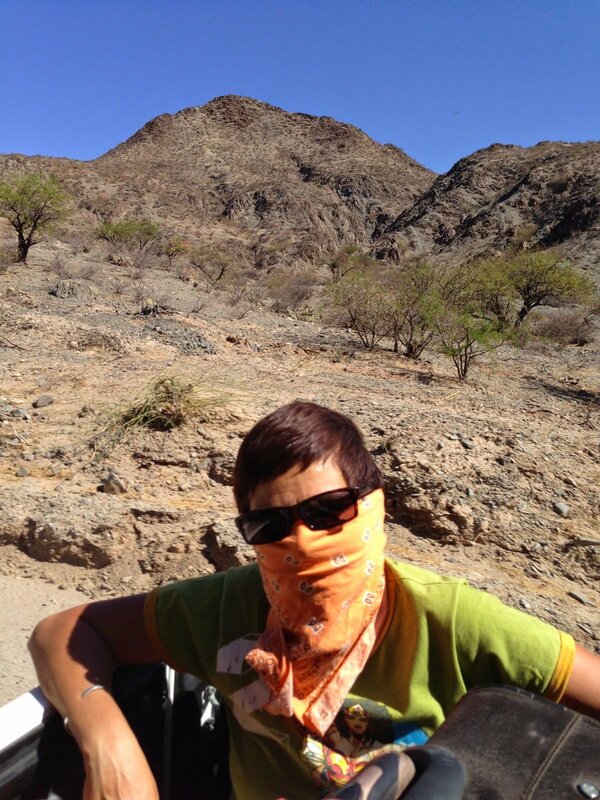 Riding on the back of the Hi Lux to Cachi. Alex enjoying a drink at Viracocha Restaurant. Dinosaurs … alive and kicking! When I had been here in 1999 I had done a day trip out to Valley of the Moon from San Juan, but this time we decided to go out and stay there so we could explore the area properly and over a few days. It had always left a really big impression on me and I wanted to share it with Alex. 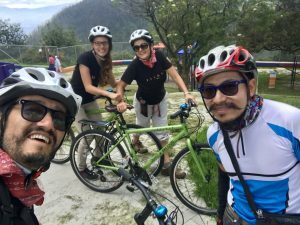 We made our way to the relaxed, green little village of Valle Fertil, 250 kilometres northeast of San Juan and set amid colourful hills and rivers, from where we would do our adventuring. 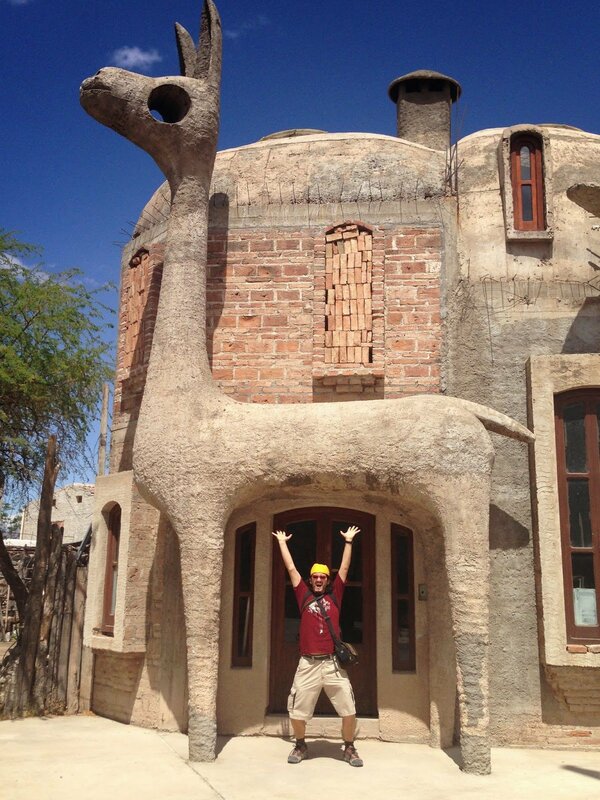 We ended up at the Campo Base (Valle de la Luna) Hostelling International Hostel. It was a small, yet fun hostel where we met and made some great friends, and also hung out with them over the next few days. 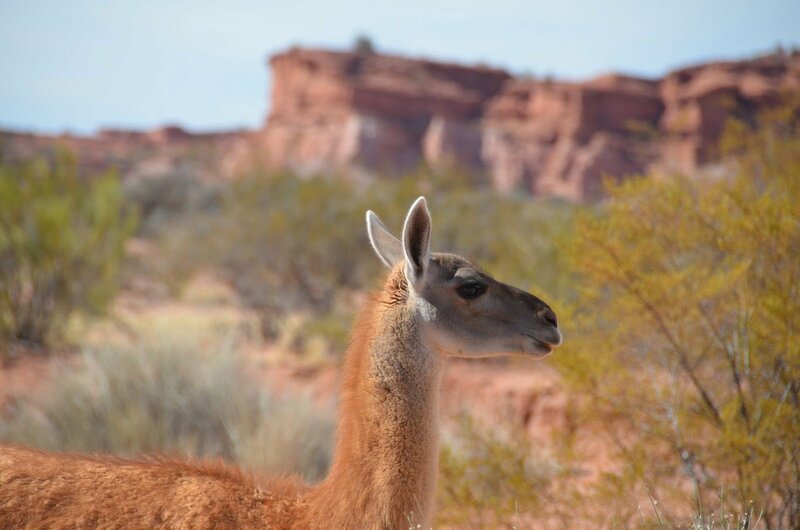 The two main trips to do from Valle Fertil are the Valley of the Moon (Valle de la Luna) which is formally known as Ischigualasto Triassic Park and Talampaya National Park. Both are, in a word, incredible! After a day of wandering around the town, and taking it easy, we set out on a couple of adventures. The Valley of the Moon was declared a UNESCO World Heritage Site in 2000, as it’s one of the most important fossil reserves in the world. Move over Jurassic Park! Here we are talking Triassic, and this place is home to some of the oldest fossil remains on earth, dating back some 230 million years (unless, of course, you believe that man walked with dinosaurs 2000 years ago!) The eerie landscape, constituting years of erosion, is what has given the park its memorable name. It really does resemble a lunar landscape. Over three hours and 40 kilometres we saw numerous natural rock formations like ‘the worm’, ‘the mushroom’, ‘the submarine’, ‘the Sphinx’ and ‘the bocce field’. Not to mention the mind-blowing landscape that was the backdrop. It was possibly the bocce field that had me most intrigued; this area has perfectly polished spheres made of the same material as the soil, and there is no explanation for their formation. Yet again, I could only admire and keep telling myself how truly fortunate I was to be able to see this! The next day we visited Talampaya National Park, known as the Talampaya Canyon, which was also declared a UNESCO World Heritage Site in 2000. Whist this park too has numerous fossil remains, the main attraction are the gorges and rock formations with walls of up to 150 metres high, narrowing to 80 metres at one point. A guided tour took us through a series of rock formations, (The Monkey, The Gothic Cathedral), a botanical garden, petroglyphs and even a botanical garden. Nature truly astounds! And so, with some more spectacular sights under our belt, the Old Mates Tour was to continue. Next San Miguel de Tucuman, or simply Tucuman, as the locals call it, to see my friend Pepe and his family. A friendship forged in Rio Gallegos in 1999, in the very south of Argentina, I would then visit him and his family several months later as I continued my trip upwards through the continent. I stayed with Pepe and his parents then, and I was returning to do the same. Unfortunately, it would be without his wonderful Dad, Antonio, who has since passed away. Pepe was to meet us at the bus terminal. Once again a very emotional reunion it was. I ran off the bus and Pepe and I embraced as Alex looked on and took some photos. I was speechless, and my eyes teared up as I hugged Pepe, who is like a brother to me. We just hugged for a few minutes and, in-between tears, I introduced him to Alex. It was like no time had passed. 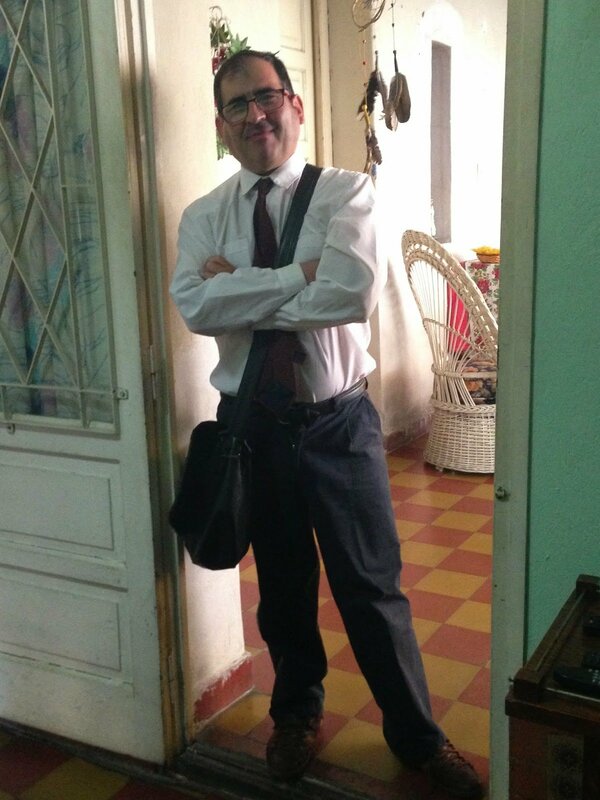 Pepe had taken a couple of hours off work (he is a teacher) so that he could take us back to his place. As we sat in the taxis the memories came flooding back … the people, the places, how wonderfully I had been treated by his family, how they had made me feel loved, how they had loved me! In no time we were at Pepe’s house, and it was more hugs and tears all around as I hugged Flora (Pepe’s mum), who told me how great it was to have a member of the family back again. Her daughter had come back to visit her! Pepe had to go back to work, so we spent the afternoon with Flora chatting and reminiscing. What a beautiful, kind lady. Despite the fact that she was in her 80s and ill, she gave up her double bed for us. I insisted no, she insisted (harder than us!) yes! We spent a brilliant week in Tucuman, chilling and catching up with the rest of the ‘family’; Pepe’s Aunt Dali and his cousin Mari, Mari’s son Danny and partner Fernando, Anita ( a good friend of theirs who was really like family) and her family. That very same afternoon Anita came screaming through the house with a big hug for me. The Gringa Loca (crazy foreigner) had come back and this time with a bit more than a shaved head! That night we went to visit Dali and the family. More hugs and tears. Feeling very loved! Flora went out of her way to cook me a range of vegetarian dishes which were absolutely delicious. Although Pepe had to work, we spent as much time as we could with him; dinners with his aunt, afternoon tea with Anita and her family, (another!) big asado (BBQ) at Mari and Fernando’s house just outside of town. That was on a Sunday, as is the norm in Argentina; they raise show horses, so that was the backdrop to our all-day eating! 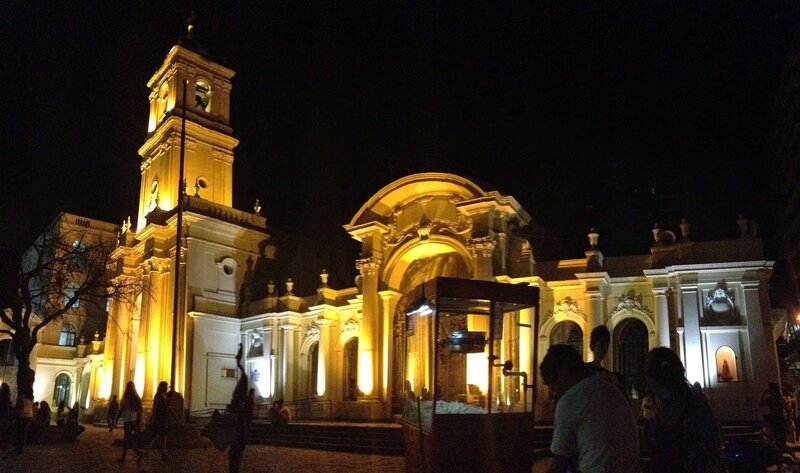 They say that Tucuman is a big city with a small town feel. Well, yes and no! Unfortunately, it also has a reputation of not being so safe. We most certainly got that vibe but were our usual, vigilant selves. We did walk into the city centre on several occasions during the day, taking in the sights, having good (well, not as good as Melbourne!) coffee and just generally chilling out. Bye, bye Flora, we will miss you! The week passed before we knew it. Mari and Fernando had invited us out to their holiday house at Tafi del Valle. Only 126 kilometres from Tucuman, this pretty little town, overlooking a lake, is where folks from Tucuman come in summer. That would be perfect as we were planning to go there on Monday anyway. In this way, we could do it together and then keep moving. Unfortunately, Pepe would not be able to come as he had hurt his ankle and had been ordered total rest and relaxation by his doctor. Mari would come and pick up on the Saturday afternoon. 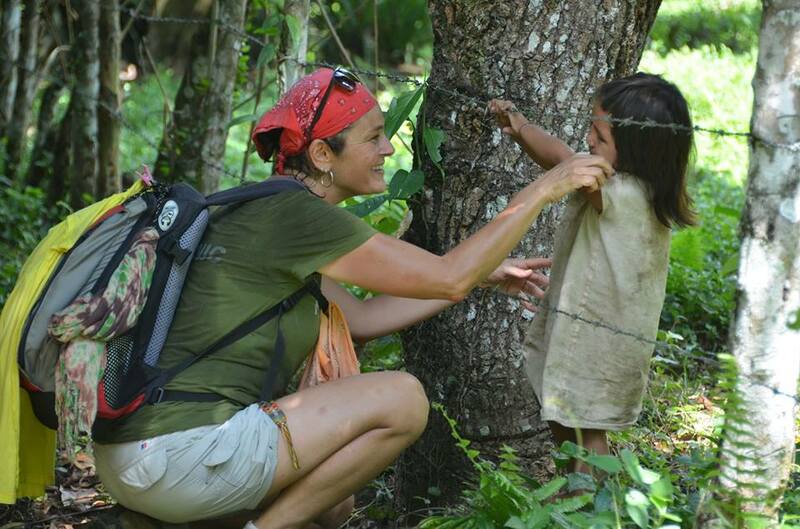 We packed our backpacks on Saturday morning and slowly said our goodbyes to Flora and Pepe. This was proving to be really hard. Finally the time came, and Mari came to pick us up. I hugged Pepe with gusto and then hugged Flora even harder. I told them both that I loved them. “I love you too”, Flora told me. As I jumped in the car and waved goodbye, I bawled my eyes out. You see, Flora has advanced breast cancer, and I probably will not see her again. At the holiday house in Tafi del Valle. Mari is very close to her aunt, and we chatted about this in the car. These people are my family. They have treated me with the love and respect that some of my own blood have not afforded me. I always hold special people close to my heart. We had a wonderful two days at Tafi. We ate, slept, went for drives and hung out. Peaceful, tranquil and relaxing … before our adventure would continue. In no time at all, it was time to say goodbye to Mari and Fernando as well. Where had the time gone? On Monday they dropped us off at the small bus terminal, from where we would be heading north to Amaicha del Valle. Again, more hugs and tears as we said goodbye. I repeat, this is never something that I will get used to. I have made some friends overseas that have touched the core of my being. Silence as the bus took off and we waved goodbye. I momentarily felt very sad and alone! 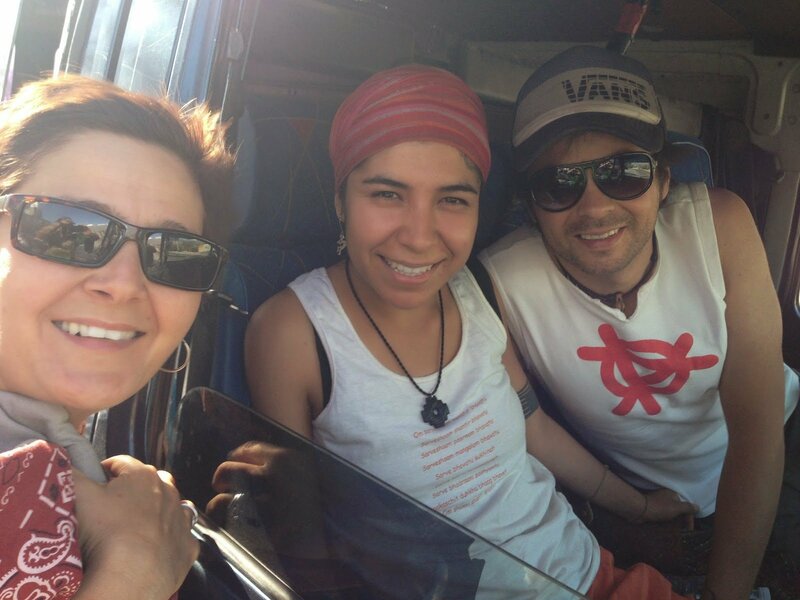 Dedication: Pepe, Flora, Dali and Mari you are our Tucuman family and we love you from the bottom of our hearts. Thank you for all the love you showed us, not only in the week that we were with you, but over the last fifteen years as we stayed in contact. We love you all! Dedicacion: Pepe, Flora, Dali and Mari son nuestra familia en Tucuman y les amamos de nuestros corazones. Gracias por todo el amor que nos brindaste, no solamente en la semana que pasamos con ustedes, pero en las ultimas quince anos que nos quedamos en contacto. Les amamos a todos! Welcome to the land of dinosaurs. 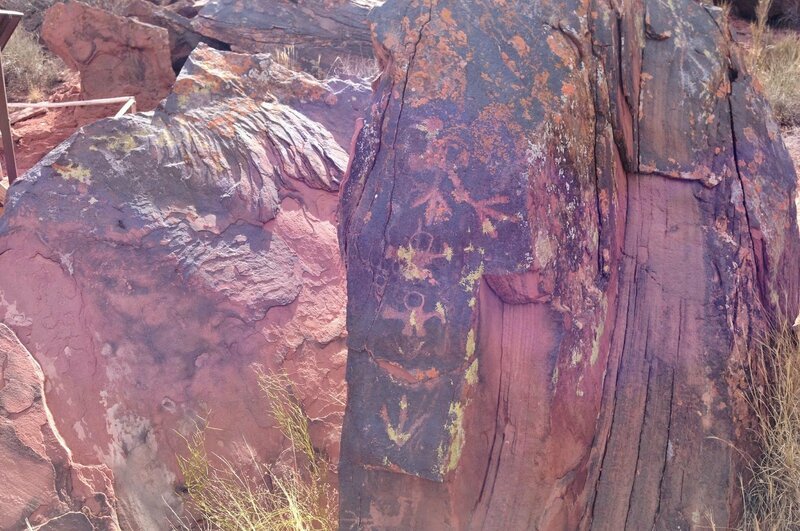 Rock Art, Valley of the Moon. These are the layers of our lives; Valley of the Moon. Great to see you again Pepe. With the gorgeous Flora; Pepe’s mum. Feeling at home with Flora and Pepe. Good food, good wine and good friends. 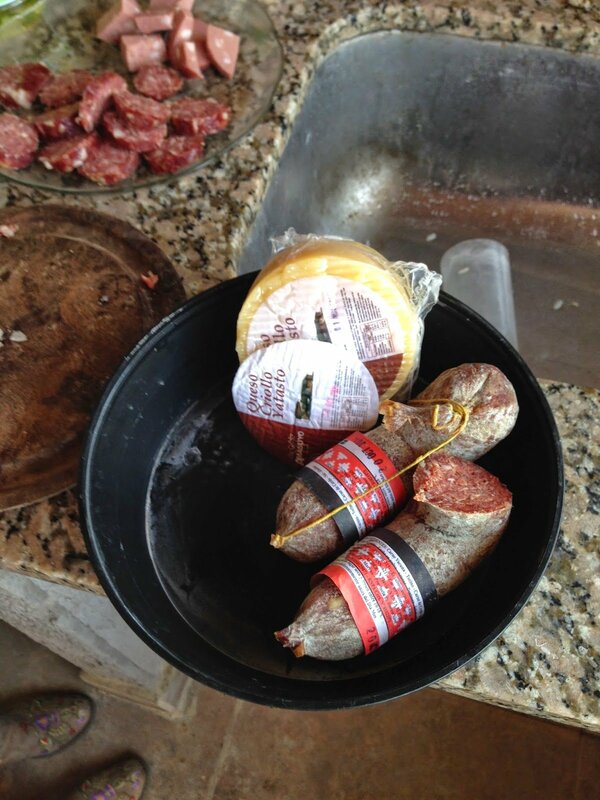 Good salami and cheese in Argentina! 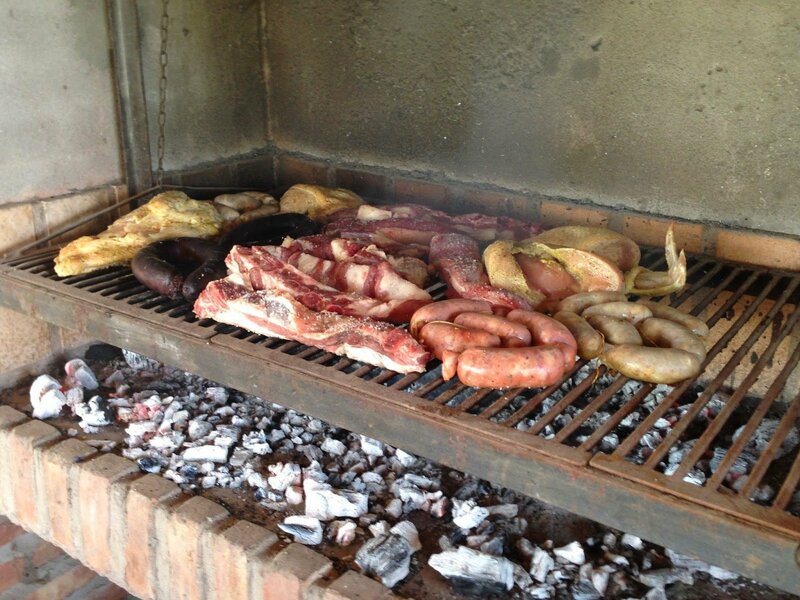 Any time is a good time for an asado in Argentina. Fernando on one of his horses. A shop that sells ONLY sweets … common in Argentina! Flora feeding me her home-made hommous. To mate (pronounced ma-tay!) or not to mate, THAT is the question! In my case, good friends and good coffee. Tafi del Valle … serious about their food! The house at Tafi del Valle. Fernando and Alex … Tafi del Valle. Pac Man … the Bocce Field. Peruvian horse breeder Fernando. Tucuman. Perspective … Talampaya National Park. Melbourne trams? No, Mendoza trams! 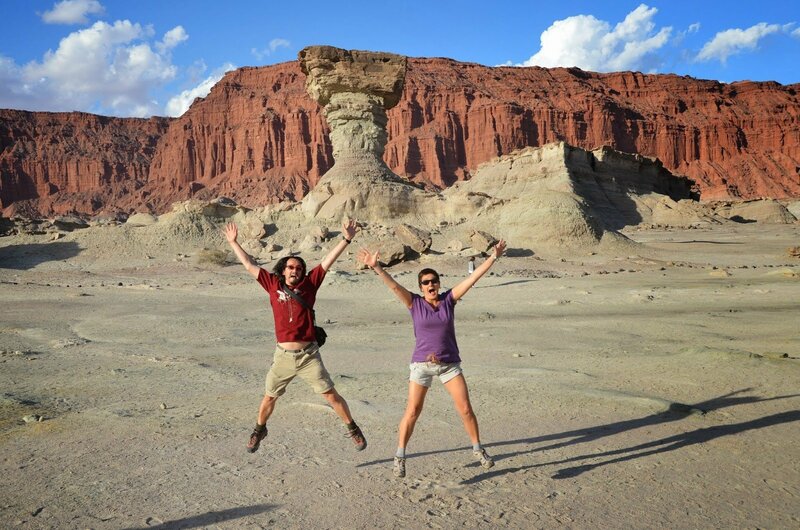 After seeing the many photos we posted on Facebook and our Facebook page, veryitchyfeet.com, our friend from Buenos Aires, Diego, noted that our trip through Argentina was like an old mates tour. Well, yes, I suppose it was! Travelling is not only about seeing new places, experiencing different cultures and meeting new friends … it is also about catching up with old ones! Iguazu Falls was going to be pretty hard to beat, but it was time to move on once again and so we were off to Mendoza, in the centre of the country (to the west and close to the Chilean border). It is smack bang in the middle of the some of the country’s best vineyards and has a lovely, temperate climate, but as neither Alex nor I are really into wine, visiting wineries was not our focus. We stayed at a lovely little colonial hotel called Hotel Zamora, which I can highly recommend; comfortable, clean and close to the centre. We also met a lovely Chilean family there, (Natalia, Jose and baby Balthasar) who we have since remained in touch with. New friends to catch up with on our next trip to Chile! Our trip to the Chilean border. Close to Bridge of the Incas. 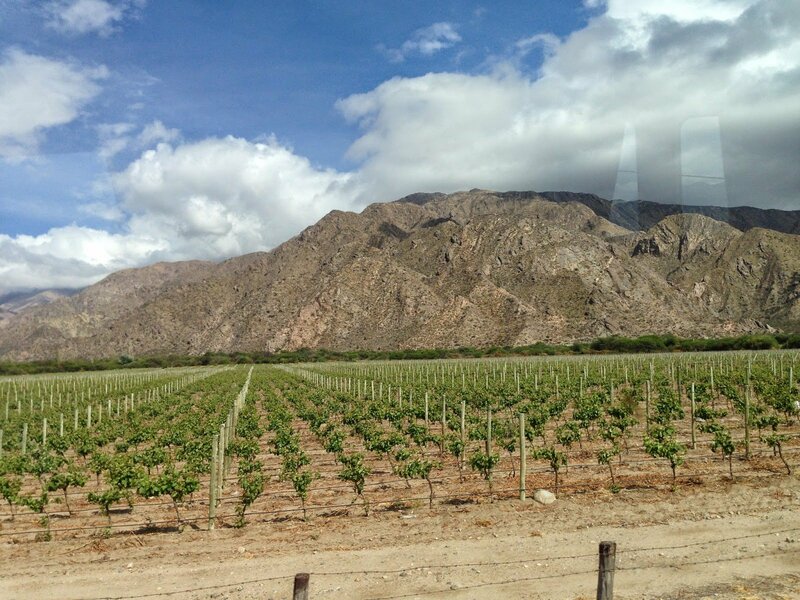 The highlight of our trip to Mendoza was our day trip, heading west, through the Andes, to to the border of Chile. Thermals, hats and gloves a must, it was very, very cold, but remarkably spectacular. 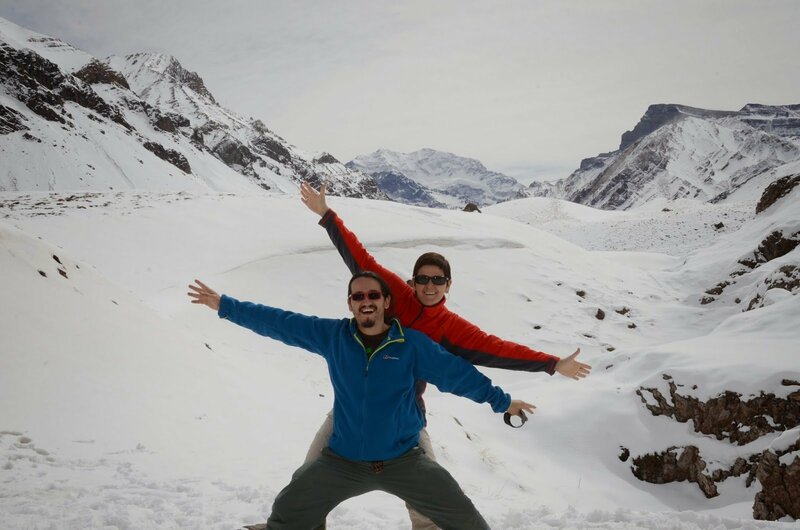 We took in places like Potrerillos, Uspallata, Penitentes, the Bridge of the Incas and a viewpoint from where we could see the imposing Mount Aconcagua, South America’s highest peak at 6,960 metres. Aconcagua. Breathtakingly beautiful (as well as cold) we had a great day including a shot on a cable car with the glistening snow below. Another Mendoza highlight was the ‘bus turistico’ Mendoza City Tour which took in several of the main sights and was a lovely way to take in several things quickly. Apart from going past several ‘obligatory’ sights, we also visited Cerro (hill) de la Gloria, where we able to take a short walk to the top of a hill which rewarded us with spectacular views over the city. Central Park was also an expansive place that we took a stroll through … always good to see the locals hanging out on a Sunday. 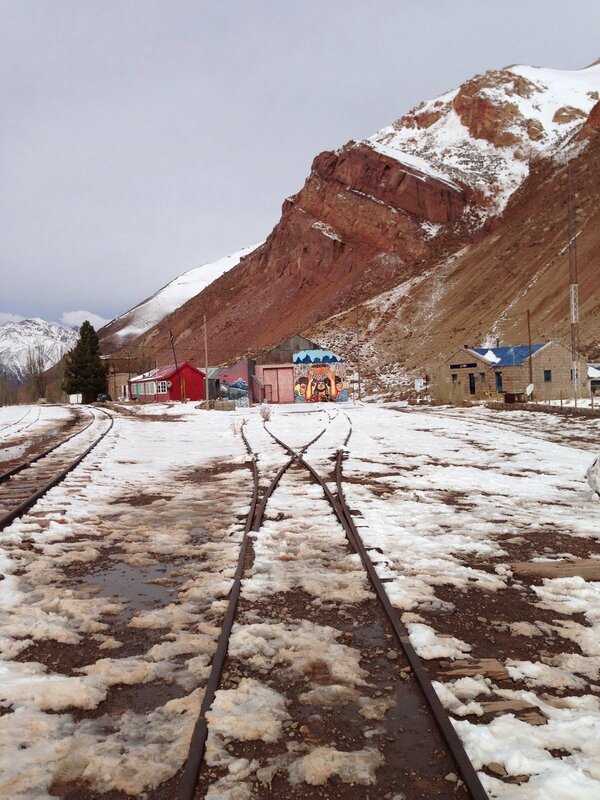 We also took a tram out to Maipu, about 15 kilometres from Mendoza City. Again we strolled around and took in the tranquil countryside. We visited the very interesting Museo Nacional del Vino y la Vendimia (National Museum of Wine). Set in a colonial home where an Italian immigrant started his own wine company, we received a personalised tour of this immigrant’s life and how he became a wine baron. I was getting excited, our next destination would be San Juan, just a couple hours north of Mendoza. There we would be catching up with my gorgeous friend Viviana, whom I met in a park (in San Juan) when I was travelling through South America in 1999. 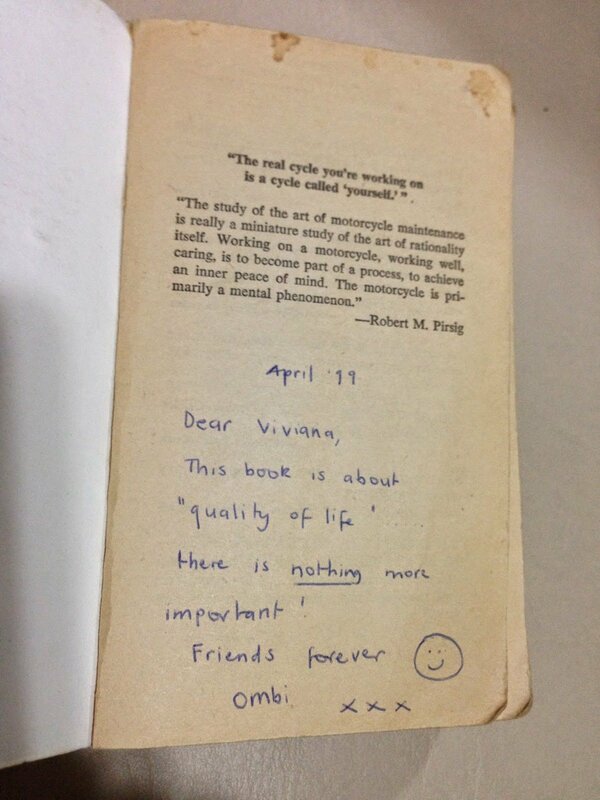 We hit it off all those years ago and remained in contact, but I had not seen her since. We were both very, very excited. She would be meeting us at the bus station. Needless to say, it was a very emotional reunion, where we both hugged and cried for several minutes. Fifteen years had passed but the bond we had created all those years ago was as strong as ever. 1999 with Maxi and Vivi. Sunday asado with the family. We spent a wonderful week in San Juan. Whilst we most certainly got out and about and did things, our main focus was to spend time with Vivi. 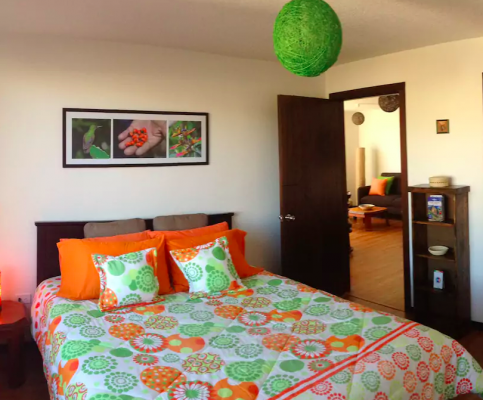 We stayed at a great (clean, inexpensive, friendly staff) place called Hotel Nuevo San Francisco, in a centrally located and safe part of town. We can highly recommend it. Each morning we would meet Vivi and do things together; we usually ended up at her place, which she shares with her delightful parents Gloria and Jorge. In no time at all, we formed a very strong bond and I knew it was going to be hard to say goodbye. I was overcome with emotion when we found Soy Chu, a fantastic vegetarian restaurant. 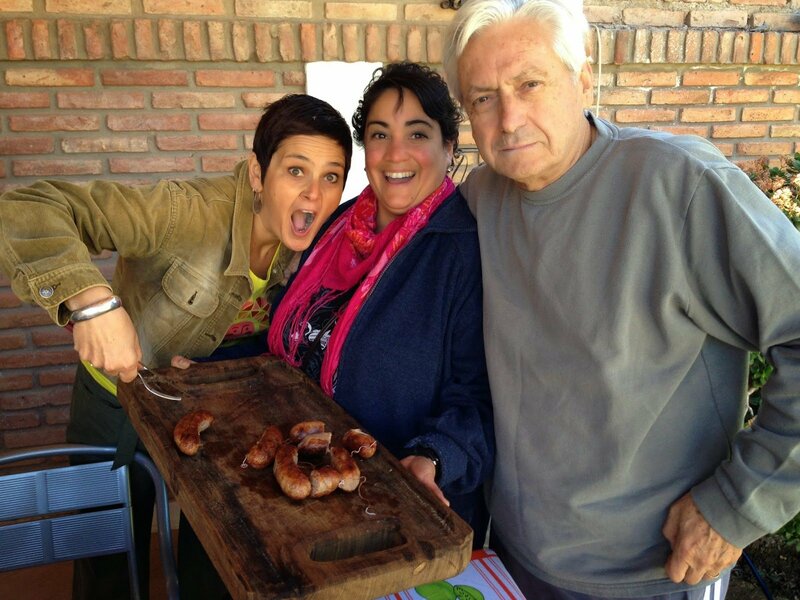 We had mostly been cooking in as Argentina is (I really do love you Argentina!) the meat, pizza and pasta show … a tough gig for a vegetarian who eats no wheat! I had hit the jackpot … or so I thought … a couple of days in, we were going to Vivi’s house and her mum was cooking up an array of vegetable dishes. Move over Soy Chu … hello Soy Gloria! Needless to say that became her nickname. Our trips close to San Juan included ‘Pocito Town’, a place Vivi and I had visited together 15 years ago; the ‘highlight’ being its mini Statue of Liberty in the main square. So many good memories. We sat in the plaza and sipped on mate as we watched the world go by. Another day we went out to Zonda, a tranquil mountainous area. 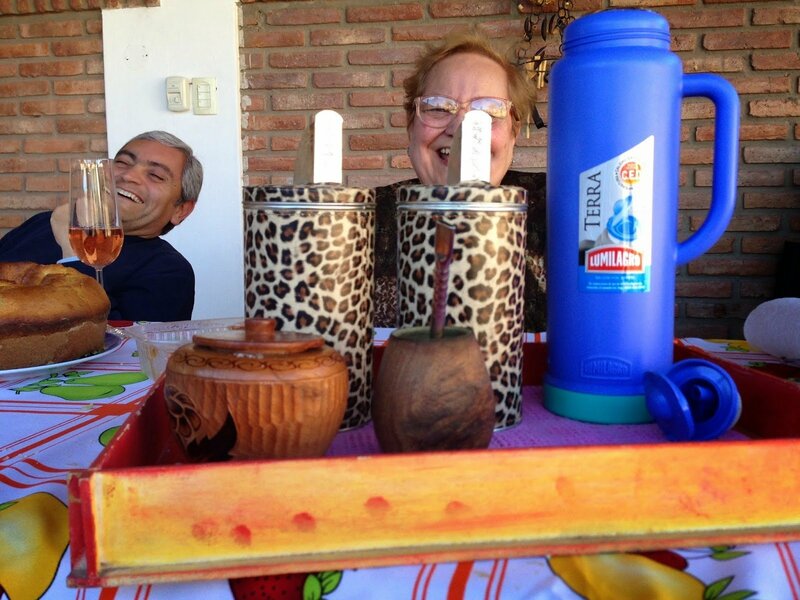 Weekends in Argentina are all about family. On the Saturday Vivi’s brother, Enrique, took us out to see the Ullum Dam as well as the Merced Del Estero Bodega, a boutique winery with some truly exceptional wines (coming from a wine dyslexic that’s pretty decent praise). So, we actually ended up seeing a winery in Argentina after all! We bought some wine to give to Vivi’s Dad, Jorge, as well as some for Enrique and the family as Sunday would be family asado (BBQ) day, and needless to say, we were invited. Sunday at Enrique’s house was a full on family affair. The table was full of both food and people. Once again Gloria made sure that there were loads of veggie dishes. Lucky me! Apparently quite a few were new creations, just for me. Why thank you Gloria! Thank you for the miracle received. Our last day in San Juan was spent visiting ‘La Difunta Correa’ (the deceased Correa). Enrique’s father-in-law had kindly offered to take us. Surely we could not leave Argentina without visiting a ‘saint’ whom people from all over Argentina as well as neighbouring countries come to see? Correa is a semi-pagan mythical figure. Apparently, she died around 1840 during the Argentine civil wars. In an attempt to reach her sick husband she undertook a long and arduous walk … she died along the way but was found several days later with her child still feeding on her breast. And so a legend was born! Although not acknowledged by the Catholic Church the Difunta Correa is an unofficial popular saint. Her devout followers believe her to perform miracles. The shrine dedicated to her is phenomenal; from the tens of thousands of thank you notes for having saved lives and cured illnesses to the numerous number plates of new cars and models of new houses that were able to be bought. We even saw people ‘walking’ up the stairway to her shrine backwards and on their elbows! Some people choose to do this as a sign of respect for the ‘miracle’ granted them. Nothing like a good urban myth! Goodbye Gloria, I will miss you! And so our time in San Juan had come to an end. Our last night was a touching and emotional affair. We hugged, we cried, we laughed, and we vowed to remain in touch. Some people come into your life for a short time and some are just meant to always be in it. Vivi is meant to be in mine! As I hugged Gloria goodbye I gave her one of my favourite silver rings. She didn’t want to accept it, but I insisted. Yes, it was one of my favourite rings, but it’s only a ‘thing’ and I wanted to give it to her. We focus so much on the material, but it’s really not what matters. I knew how much it would mean to Gloria, yet for me it had simply been something that I had bought. Things come and go; good people don’t! As we walked home to our hotel Vivi stood by her door and waved until we could no longer see each other. My heart slumped. I always find such moments really heart-wrenching! Dedication: My beautiful friend Viviana, it was our destiny to meet again, and I know that it is our destiny to now meet again in Australia. Thank you for the love and friendship that you have shown me over the years. Fifteen years passed but I always held you close to my heart. You are a true friend; you are my sister. Gloria and Jorge – thanks for embracing Alex and I like your own family. We love you all very much! Dedicación: Mi linda amiga Viviana, era nuestro destino de vernos otra vez, y se que es nuestro destino vernos otra vez en Australia. Quince anos pasaron pero siempre te he tenido cerca de mi corazon. Eres una amiga verdadera; eres mi hermana. 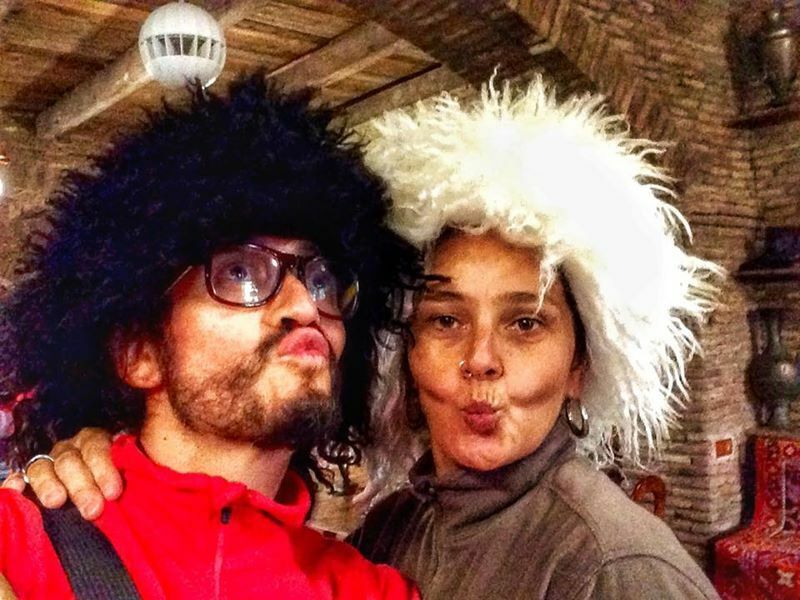 Gloria y Jorge – gracias por tratar a Alex y a mi como su propria familia. Les amamos muchísimo! Next: The Old Mates Tour Part 2. First the Fertile Valley west of San Juan (The Valley of the Moon and Talampaya National Park) and then catching up with more old friends. National Museum of wine, Maipu. The many faces of dulce de leche (caramelised condensed milk). Contemplatively enjoying ice-cream in Maipu. With our new Chilean friends. Enjoying some good meat and wine in Mendoza. Don’t close the tap or the water will freeze! This cake is called ‘Bomba’; merengue, chocolate, dulce de leche. OMG! Say no to child labour! The mate after the Sunday asado. Wine tasting, Bodega Merced Estero, near San Juan. Ullum Dam, near San Juan. Day trip out to Zonda, near San Juan. The cult of the Difunta Correa. 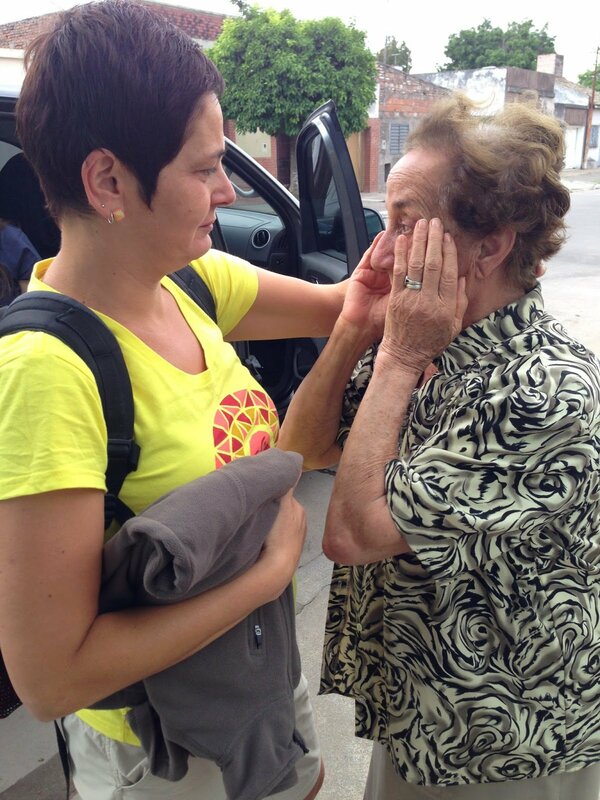 Thank you Difunta Correa for the miracles granted. The many notes and photos thanking the Difunta Correa for the miracles granted them. Gotta fit in as many hugs as I can. With my San Juan family. Clowns in 1999, still clowns now! Around Zonda, near San Juan. Painted bus on our day trip to Chilean border. The beautiful mountains that border Chile. 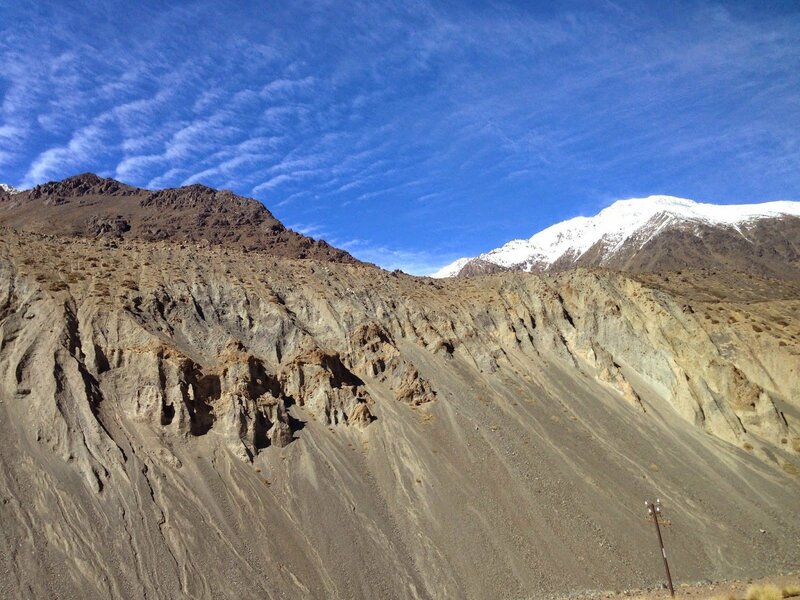 Our day trip to the Chilean border, view after spectacular view. Close enough to Mendoza but freezing! In the far distance, Mt Acongagua, highest in South America. Near Bridge of the Incas. A rarity; a condor close up. Day trip through the Andes. Sunday asado with Vivi’s family, San Juan. And so we were off … Buenos Aires here we come! Dad’s been mapping my travels since 1989. Getting ready for a one-month trip is one thing. Getting ready for one of a year is entirely another! Although I finished up work several weeks before our departure on 13 August, I never expected that we would have so many things to do, wrap up and finalise. We were literally pumping until the eleventh hour. We decided months ago that we’d go away for a year … of work … play … perhaps a sabbatical … to South America … Asia Minor … eastern Europe … Italy perhaps … the Greek Islands?! We figured that buying a cheap return ticket to South America would be a great start although the actual journey and destinations were still unknown. Six months in South America and another six in Europe, ‘ somewhere in Europe’, sounded like a plan. Thus the idea was born and the tickets bought! First destination, Buenos Aires. Of course you can’t multi-task in a rat race, which is what we felt we were living in, so how could we possibly plan a trip of such magnitude? Too busy wrapping up our jobs in IT and community engagement, respectively. Tickets … check, Lonely Planet … check. And that’s it folks! With only a week to go we were trying to pack our bags, say goodbye to friends and family, organise our apartment and get ourselves sorted. Our last night was spent at Dad’s as our first flight from Melbourne to Sydney would be at 6.00am, demanding a 2.30am wake up. And so the eve of 12 August arrived, and with it a sense of, well, a lot of things. The time had come! Tomorrow we would be leaving for yet another trip of a lifetime! I have had many. Head spinning, thoughts whirring … was I, were we, up for this … again? But you see, travel has become the blood that pulses through our veins, the bread that feeds us and the elixir that fills our souls and makes us scream, ‘we are happy to be alive’, so the answer to the question is, simply, yes! Going to miss you Dad! Ready, set, travel! We got up early and Dad took us to the airport. The plan was to check in early and sit down to a nice cuppa and say our goodbyes tranquilly and calmly. Not really nouns that people use to describe anything about me normally, but hey, it was all going smoothly, and I was sure that we were going to be able to manage this one. Dad was parking the car and we were checking in. “Your reciprocity visas please” asked the lady at the check-in counter. Say what? 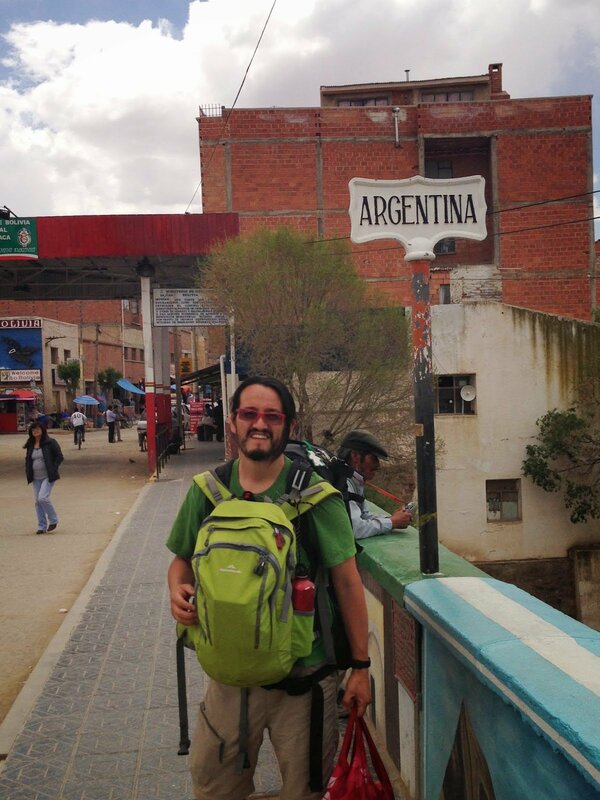 Alex has dual citizenship and so, although leaving Australia on his Australian passport, was going to enter Argentina on his Ecuadorian one to save him the AUD$100.00 that Australians have to pay for their one year visas. If you have multiple passports, flaunt them! You used to be able to get this upon arrival … but apparently you now have to do it on line … and show the receipt to the person at the check in-counter … otherwise you can’t board the flight! How did we miss that one! 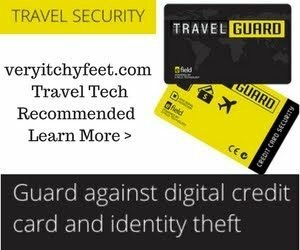 Have the world travellers become too complacent? Fortunately, as we were early, we were able to organise this from the airport, but I have to say that a very tense hour ensued. The staff assigned to help us had no idea. Alex then tried to log on and we went through a proxy company who did not give a receipt immediately. We needed a receipt! Aaaaaaah! A supervisor finally helped us log onto the official site and we soon had our visas paid for and receipt printed. By this stage it was 5.30am and we needed to board. All we got was a quick hug with Dad, and we had to go. The bright side? We were going! Up, up and away; hasta la vista Australia! It was going to be a long flight; Melbourne to Sydney, Sydney to Auckland, Auckland to Santiago (Chile) and finally Santiago to Buenos Aires (Argentina). I knew it was going to be a loooong one when I realised that the airlines had not organised any of my gluten-free meals nor had I brought any snacks. Losing it! Both me and the airlines that is! It was indeed a long flight, but as most of the flights were surprisingly empty, we did get a fair bit of sleep. We also managed some sushi at Auckland Airport. Sad at what can excite one at times. Several hours and time changes later we arrived at Ezeiza Airport, some 22 kilometres from the city centre. We were exhausted, and we had the ‘look’ to prove it. Our friend Cheryl, who now lives in BA, was coming to pick us up with her partner Walter, whom we had not met yet, although heard loads about. Tired but excited, we made our way through passport control and picked up our bags. We were here! 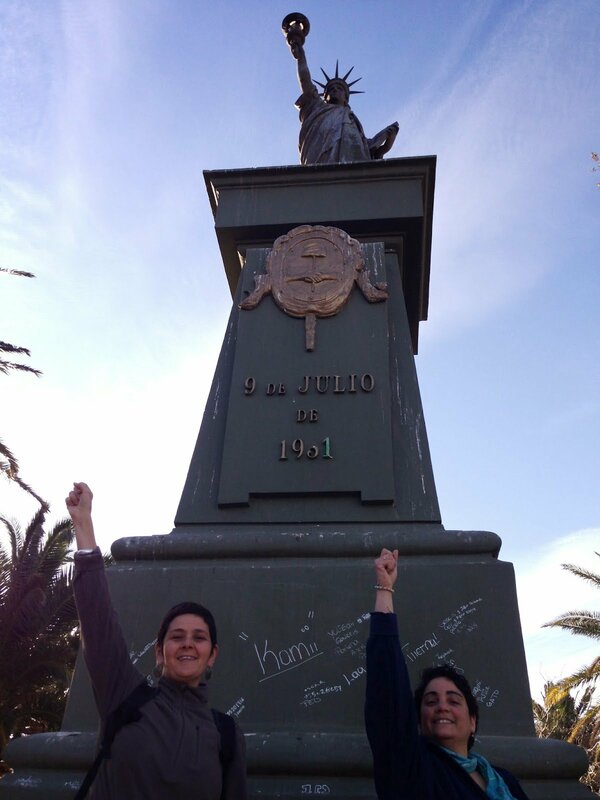 We were in Argentina! Let the journey begin! The official car picks us up; gracias Walter! We walked out, spotted Cheryl and Walter and then Cheryl and I proceeded with a ‘Chariots of Fire’ type run towards each other. Lots of screaming and hugging between the girls and then introductions all around. We were actually here, albeit exhausted. We were even afforded an official ride home, aka Walter’s car complete with Australian and Ecuadorian flags. Party time in Buenos Aires. The two and half weeks that followed have been truly amazing, and I mean truly, truly amazing. We have stayed with Cheryl for most of that time. Thanks so much Cheryl; I can’t tell you how much we have enjoyed staying with you. In a land of meat, pizza and pasta (I am vegetarian and Alex and I don’t eat wheat), I cannot express what a godsend her kitchen has been. We have shared lots of magic moments, good coffee and laughs. We have been staying in San Telmo, the heart of all that is both touristy and tango. No amount of tourism, however, can take from the cobbled streets, old plazas and the old-world feel of this beautiful little suburb. It has been lovely to simply stroll, wander and just take it all in. In Barrio Cafetero with Cheryl. Buenos Aires has offered us a little bit of everything on this amazing trip that we have only just begun; colourful markets, street art and graffiti, beautiful sunsets and amazing coffee, to only name a few things. Particularly good was Coffee Town in San Telmo (Agustina Roman was the 2014 Argentina barista champion), Barrio Cafetero in the downtown area and Lattente in Palermo. The country continues with its trials and tribulations, including inflation and increasing poverty. Seeing people sleeping on the streets is common place, as is kids jumping into to waste bins to scrounge for food. In buses small children try to sell you lollies and tissues. I can only look at them as my eyes well up with tears; their place is in school, not in trains trying to sell me tissues for fifty cents. A blind man walked through a carriage one day holding out his hand. I was simply overcome with emotion as I pressed some money into his hands and then wept silently. I know that I cannot single-handedly change the world, but I can never, will never, ‘accept’ these injustices. Sunset at Puerto de Frutas, Tigre. Buenos Aires holds a very special place in my heart as I have so many friends here; Carolina and Fabiana whom I met whilst travelling through Europe in 1993; Charo whom I met in Colonia Suiza, Uruguay, in 1999 and then of course Diego, who I danced 1999/ 2000 away with when I lived in Quito, Ecuador. We have been able to catch up with all of them. We visited Tigre with Faby and her family and had fun at the ‘Puerto de Frutas’, an artisans’ market near the riverfront. If you think the Aussies are serious about their BBQs and meat … well, move over Australia … the Argentines are equally as serious, if not more so, about their asados (BBQ! ), and they are a serious, serious ‘throw on every size, cut and type of meat and sausage affair! On telling Argentine many years ago that I was a vegetarian, his prompt reply was simply, “Oh, you poor thing”! Faby and her husband Gaby showed us how this was done at their place! Another day we went out to Chascomus with Diego and his husband Federico (I can say that now as they are legally married in Argentina! Congrats guys!). It’s a quiet little town some 120 kilometres outside of Buenos Aires and is situated around a number of lakes. It’s a quaint little spot to walk around, relax and breathe in some country air. Struggling to say goodbye to Cheryl, and not quite ready to say goodbye … just yet … we thought we’d diverge east and visit the spectacular Iguazu Waterfalls, on the border of Argentina, Brazil and Paraguay. A mere 19 hour bus ride away! Argentina is a massive country and the distances between places reflect its enormity. The buses are excellent and you can choose seats that recline a fair way back, making for a decent sleep. A sleep that beats one on any economy seat on a plane! Nineteen hours later … we were in Puerto de Iguazu looking for a place to stay. Bring on that sunny, sub-tropical climate! The usual scouting around found us a place called Peter Pan. How apt that the Peter Pan of travel should end up there! I visited the Brazilian side of the falls in 1999 when I was backpacking South America as a solo traveller, and stayed on and saw the Brazilian side. I do remember the majesty and grandeur, but nothing can take from seeing it all again! This time we stayed on the Argentine side and ended up there on a picture-perfect day. The views from the Argentine side are different; more scenic and sweeping views as opposed to the smaller in your-face-dramatic-drop. Both beautiful! Both with something different to offer. The Argentine side is bigger with more walking, walkways and views. Nothing, absolutely nothing, could take from the views and energy that beheld us. We only spent a couple of days at Puerto de Iguazu, but managed to fit in a few things, including walking to the confluence, very close by, of Argentina, Brazil and Paraguay. I looked across the waters and reminisced about my time in both of these other countries that we would not make on this trip. The world is huge and when its attractions, culture and people enthral you, time is never enough. The flowers are in Argentina, R Brazil and L Paraguay. Back in Buenos Aires, we would spend our last two days with Cheryl, relaxing, doing spin/ cycle classes Buenos Aires style, catching up with Effie,a Melbourne friend, who would coincidentally be here for a few days before we continued along our journey, eating good home-made food with Cheryl, and contemplating moving along once again. This is the part that I always find difficult. What better way to spend our last night in this vibrant city than at a Milonga; that’s the locals’ version of a touristy tango show. Locals and foreigners seductively danced the passionate yet ‘sad’ dance to the strains of a soulful tango band, El Afronte. 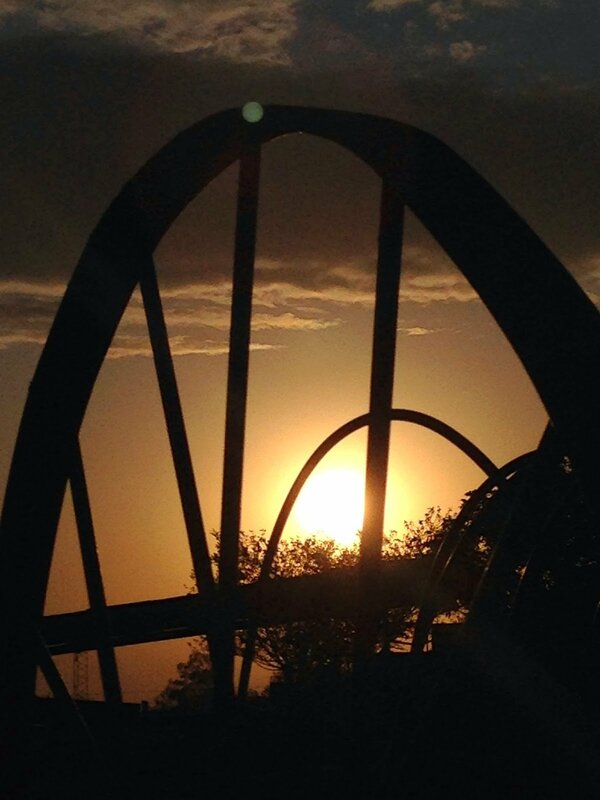 I observed and felt … it was all I could do! And so just as our Buenos Aires sojourn began with a bang, it finished with one! No, I did NOT scoff the entire jar! PD I have a confession to make… I am addicted to dulce de leche, a type of caramelised condensed milk, which is as Argentinian as, well, meat! It’s in cakes, biscuits, desserts and if that isn’t enough, buy yourself a tub and spoon it into your mouth … I do! To you Cheryl Quirion! You started off as a friend but really you are now our sister! Thanks for having us for two weeks, looking after us and feeding us! You are here to stay. Love you sister! Next: Mendoza, San Juan, Tucuman and northern Argentina. Wine transporters; Australia to Argentina. At Coffee Town with Cheryl and Walter. “The city of Pope Francisco”. L to R: Gaby, Alex, Faby, Florencia, Gonzalo and Nicolas. With Pato (L) and Caro (R); first met in Paris in 1993. Buenos Aires; the old and the new. With Faby and family in Tigre. Good times … and good food, Buenos Aires. Walter and Alex; ‘los compadres’. With Caro (C) and Pato. Smoking causes impotency! Death pales in comparison! A day with Caro and Luis. Church is for praying not legislating. Umm, yep! With Diego (L) and Fernando (R) at Chascomus. With the guy that’s able to put a smile on my dial daily. With Charo (L) and her mum Gladys (R). I want that Barbie t-shirt! We had a mission in Bangkok ! To eat good food and shop! Whilst the food in Myanmar was palatable and at times even delicious (particularly the veggie dishes), it really had nothing on Thai food. Bangkok has, in many ways, become a home away from home, as we now know where to stay, where to shop and what to buy! We had a mission, and we were going to accomplish eat … eat well and shop! We only had a couple of days, but our mission was clear! I have written about Bangkok ad nauseum in other posts, so this one will tell the story with photos (more than usual, anyway). Thailand wants democracy, and they want it now! The people of Thailand speak out. There ain’t a revolution without technology! The people of Thailand want to be heard! Not what I’d call my accessory store. Face book thongs in Khao San Rd. A bit of shopping … a bit of coconut ice-cream. Holding up the fort, Bangkok. Takeaway Pad Thai at Bangkok Airport … till we meet again.